-Formed in August 1943 as 43 RM Commando from Marines from the disbanded 2nd RM Battalion, the Commando saw service as part of 2 Commando Brigade until the end of the war when it was disbanded. 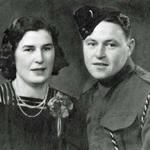 43 Commando RM was re–formed on the 5th September 1961 at Stonehouse Barracks Plymouth under the command of Lieut. Col. Willasey-Wilsey MBE,MC,RM. and remained operational until disbanded again at Eastney on the 1st October 1968 . 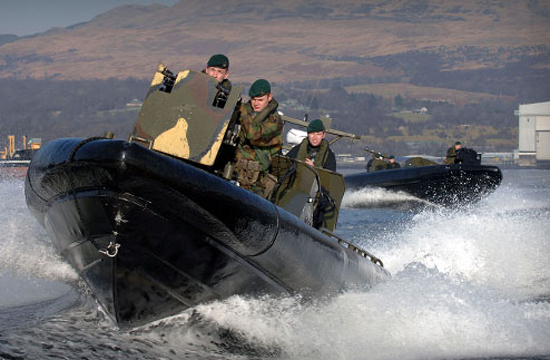 43 Commando RM was more recently reformed as 43 Commando Fleet Protection Group Royal Marines. It is the largest in the Corps and is responsible for protecting the nation’s nuclear deterrent as well as taking the fight to modern-day pirates in specialist boarding teams.